Chris has a trusted reputation in Northeastern Ohio having been involved in aircraft maintenance for the past 32 years. Chris starting in 1972 as an A&P, and mostly by word of mouth, built a sizeable trusting following. His clients has include Kent State University’s Fleet, and Channel 8’s Sky Fox helicopter, Montrose Auto Group, as well many local corporations, and private pilot training schools who seek his professionalism. Chris not only is great with the wrench, but quite a pilot. Chris has Private Pilot, Single engine, Multi Engine, and Helicopter Ratings. He frequently delivers the aircraft he services. Portage Flight Center is a FAA Certified Repair Station, and safety is # One. Matt is a graduate of the Pittsburgh Institute of Aeronautics. 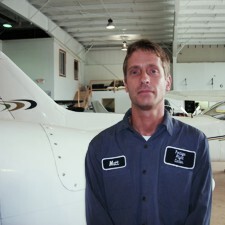 He has over eight years of aircraft maintenance experience. 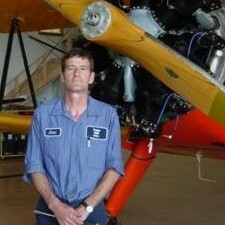 He is proficient in all general aviation aircraft maintenance and repair.